The governor’s action allows people in 21 counties to qualify for grants to cover flood-related expenses. Flooding is occurring in those states and it’s forced the 200 residents of Hornick, Iowa, to evacuate. Evacuations also are occurring in several eastern Nebraska communities. A utility worker in the Texas Panhandle was killed while working to restore power amid powerful winds pushed in by a storm system that’s pummeling parts of the Midwest . The weather is moving into the Midwest after causing widespread power outages in Colorado, where a blizzard forced the cancellation of hundreds of flights and wreaked havoc on roadways. A Colorado State Patrol officer was hit and killed by a car as he helped a driver who’d slid off an interstate near Denver. 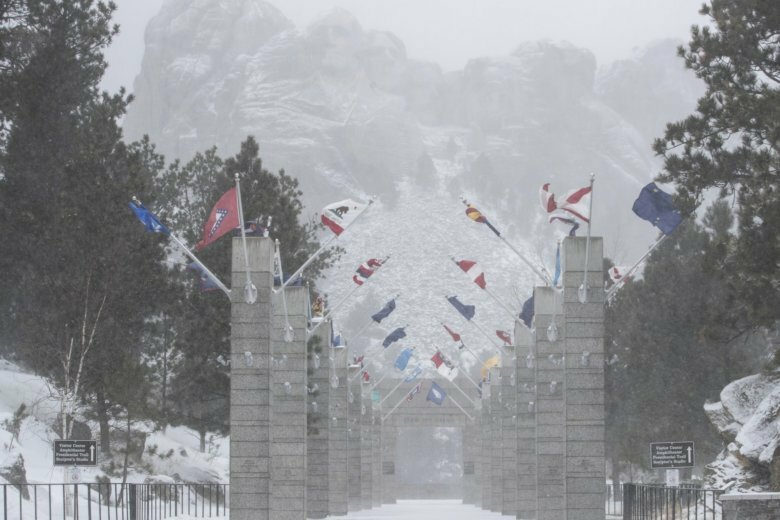 South Dakota’s governor has closed state offices across much of the state as blizzard conditions move in from the West. Offices in 49 of South Dakota’s 66 counties are closed Thursday as the National Weather Service warns of blizzard and winter-storm conditions a day after a massive late-winter storm hit Colorado. National Guard troops were using specialized vehicles with tank-like treads to rescue stranded drivers in Colorado in the wake of a massive late-winter storm that’s expected to unleash heavy rain and snow on the Midwest plains Thursday. Wednesday’s blizzard cut power to tens of thousands of homes and businesses, caused hundreds of flights to be canceled and wreaked havoc on roadways. A wind gust clocked in at 97 mph (156 kph) in Colorado Springs.